Once upon a time (well, about 8 or 9 years ago)… The owner of AZ Fine Time, Mitchel Hirsh, made his yearly ritual of attending the Basel Fair. Usually, there are meetings to be had with current manufactures, and then the rest of the time is spent seeking out the latest and greatest that had not found their way to our store. 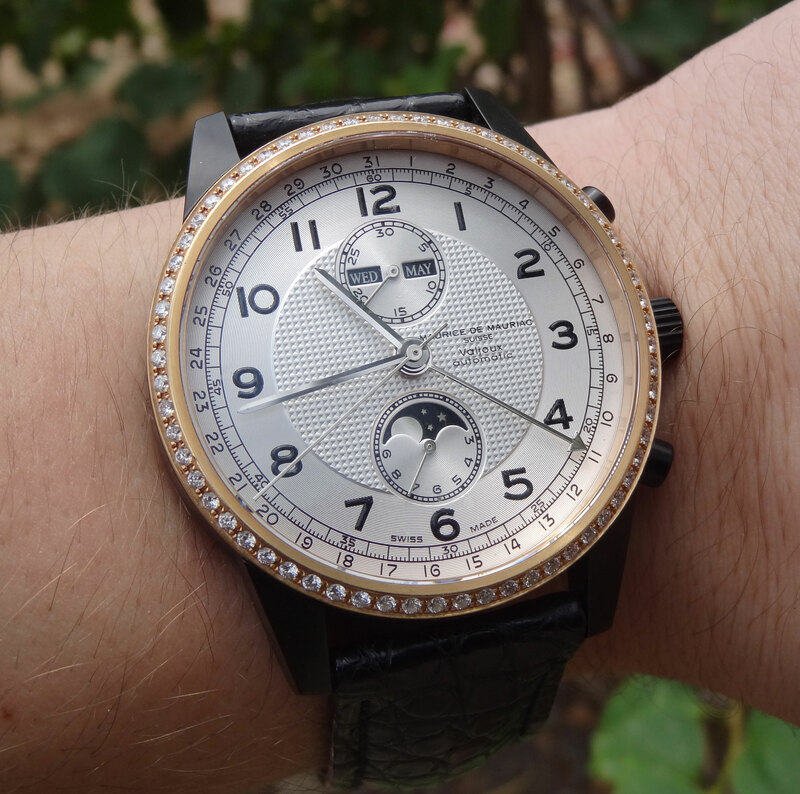 Mitchel loves unique and unusual brands, and spends much of his time wandering around the independent watch makers section of the show. On his journey, he stumbled upon a single unit display with a man named Daniel Driefuss standing next to it. This was Mitchel’s 1st introduction to the brand Maurice De Mauriac. Daniel took the time to explain his watches and the love he puts into his brand. Mitchel was so impressed, he bought a watch for himself right there on the spot. Shortly after, they went for coffee to further discuss, not only the brand, but to get to know each other. Needless to say, they hit it off right away and became good friends. After the show, they went back to Zurich where Daniel took Mitchel on a tour of his Atelier (workshop), which is not only a retail front where Daniel sells his watches, but also where his watches are built. They were in the workshop til 3am having a great time and checking out all of Daniels amazing watches. Since then, Mitchel and Daniel have been great friends and very much like brothers. 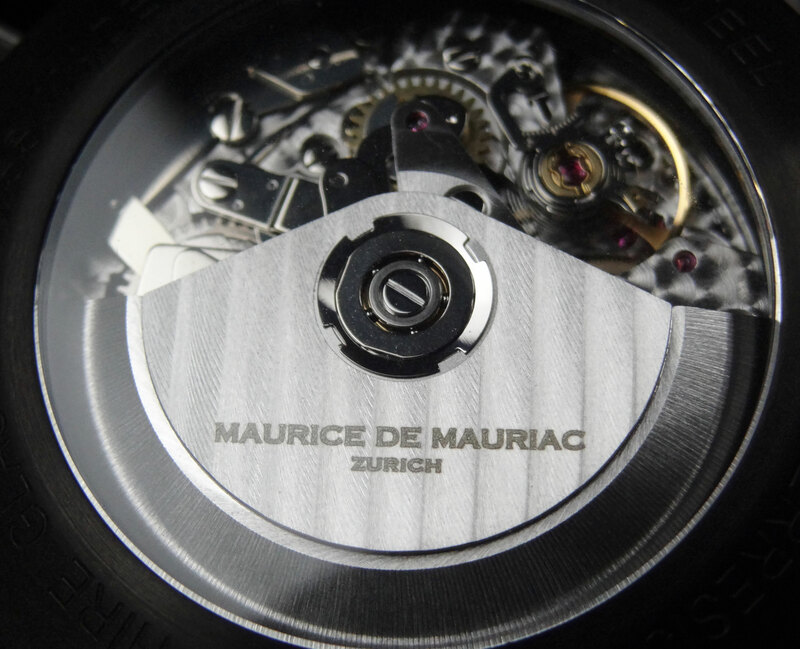 For those not familiar with Maurice De Mauriac watches… They are located in Zurich Switzerland. Daniel utilizes only 4 watch makers at his Atelier, all trained by IWC and only make about 1 watch a day. One of the best parts is that he will actually build custom designed pieces right on the spot for you. Let’s say you love one of his deisngs, but prefer a PVD case vs steel or domed crystal vs flat. Daniel makes that happen. There are also many ways to elaborate on that. Daniels workshop is filled with many different straps, dials, crystals, hands and other parts for his clients to choose from. Some of the more interesting concepts Daniel has developed are interchangeable bezels, where you can have white diamonds, black diamonds, 18kt gold, or just a plain steel or titanium bezel. He also has an assortment of colored crystals, should you want to have a nice tint to your watch. 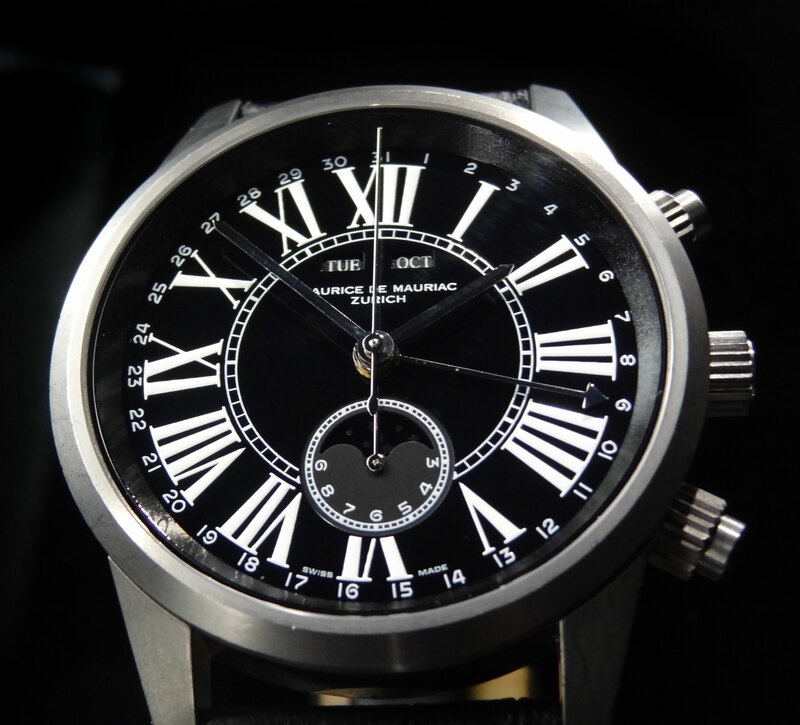 Now he even has his own proprietary movement known as the “black movement”, which is interchangeable with a Valjoux 7750 (that he uses regularly). Daniel is also very meticulous about timing. All his watches are tested to perform within the same deviation rate as COSC. I attended the Basel Fair with Mitchel this year and had the opportunity to meet Daniel myself. We met at a very nice cigar bar in Les Rois Trois (3 Kings) hotel. While it was fun looking at all of the watches at the fair, there is nothing like sitting down, enjoying a nice scotch and cigar, and having total focus on the watches in front of you. They were honestly some of the coolest designs I saw while in Switzerland. Meeting Daniel was also a great experience. He explained his watches with such passion, unlike any manufacture I have ever met. He has a deep love for what he does and it shines in every way. I started working for AZ Fine Time near 8 years ago. 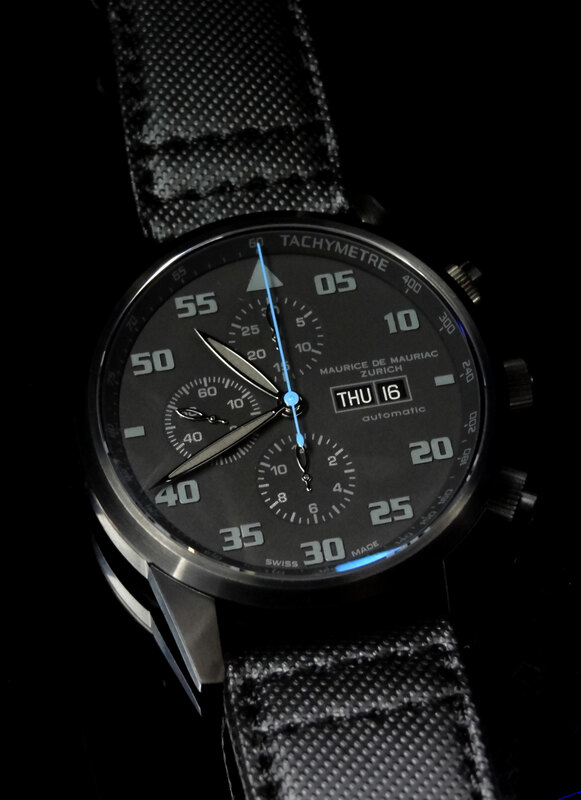 This was my 1st introduction to Maurice De Mauriac and I have since loved his timepieces. In fact, the 1st watch I ever sold was an 18kt gold Chronograph Moonphase, so there is some sentimental value there for me as well. Now, knowing Daniel and seeing the passion he has for what he does, it means even more. Daniel is many things. An inspired designer, a talented watchmaker, a devoted family man, and of course a long time friend of AZ Fine Time. 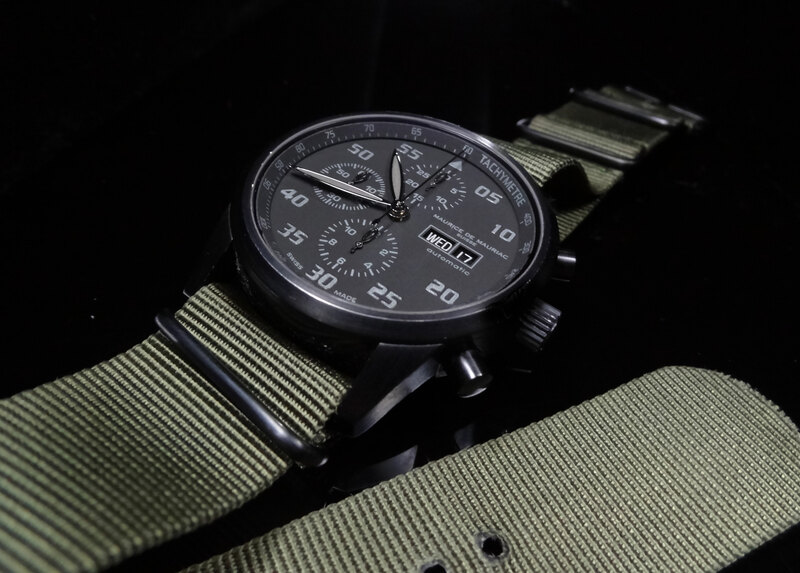 We are proud to have Maurice De Mauriac watches here in our store and to one of the only, and oldest, dealers in the states for them. 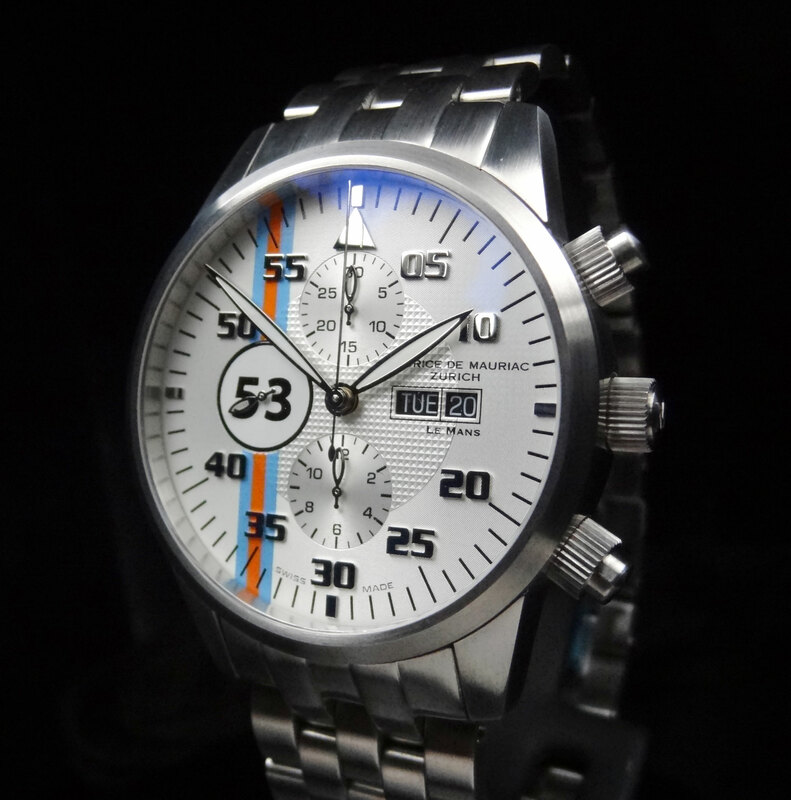 Please feel free to contact us should you have any questions in regards to these amazing timepieces.